At 0200 local time, Iraqi forces poured across the border into Kuwait and took control of Kuwait City. The comparatively small military forces of the oil-rich Gulf state were quickly overwhelmed.The Kuwaiti ruler, Sheik Jaber al-Ahmed al-Sabah, fled into exile in Saudi Arabia. Saddam Hussein claimed the Iraqi invasion was in support of a planned uprising against the Emir, but murders and abuses of Kuwaitis who resisted the occupation were common.Several hundred foreign nationals were held as human shields at Iraqi and Kuwaiti factories and military bases, but were released before the allied campaign against Iraq. The invasion came amid an Iraqi economic crisis stemming from post-war debt. Saddam Hussein accused Kuwait of keeping oil prices low and pumping more than its quota from the two countries’ shared oil field. Iraq had never accepted its British-drawn borders, which established Kuwait as a separate entity. And when Kuwait refused to waive Iraq’s war debts, Saddam Hussein invaded. The UN Security Council imposed economic sanctions and passed a series of resolutions condemning Iraq. An international coalition was formed, hundreds of thousands of troops massed in the region. 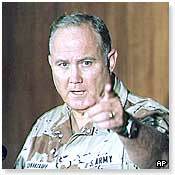 The US put together a battle plan, with General Norman Schwarzkopf, commander-in-chief of US Central Command, at the military helm. In November 1990, with diplomatic attempts to solve the crisis abandoned, the UN set Iraq a deadline for withdrawal from Kuwait and authorised the use of “all necessary means” to force Iraq to comply. 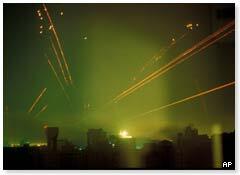 On 17 January 1991, US, British and allied planes launched a massive campaign of missile strikes and aerial bombing. Cruise missiles were used for the first time in warfare, fired from US warships in the Gulf. 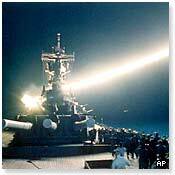 Footage filmed from the missiles’ noses as they homed in on their targets was transmitted across the world. US, British and Saudi Arabian fighter planes, bombers and helicopters set out to destroy hundreds of targets.These ranged from military headquarters and airfields, to bridges, government buildings, media outlets, communications centres and power plants. Allied planes flew more than 116,000 sorties over the following six weeks, dropping an estimated total of 85,000 tons of bombs. About 10% of these were so-called smart bombs, which are guided to their targets by a laser beam pointed from a second aircraft. On Thursday 17 January, Iraq launched its first Scud missile strikes on Tel Aviv and Haifa in Israel. 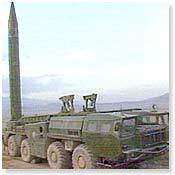 Another Scud fired at US forces in Saudi Arabia was shot down by a US Patriot missile – the first of many mid-air interceptions. Israel said it would not be drawn into retaliation, relying instead on batteries of US Patriot missiles hastily stationed on its territory.A frenzied US mission to track down and destroy an unknown number of mobile Scud launchers in Iraq began as more missiles were fired at the two countries. 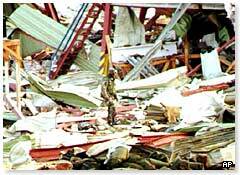 The most devastating attack was on 25 February, during the ground war, when a Scud struck a building at Dhahran US base in Saudi Arabia, killing 28 US military personnel. In total, 39 Scud missiles were fired into Israel, causing damage but few casualties. 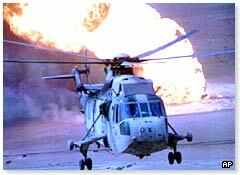 The previous day Iraq had failed to meet a deadline for withdrawal and had set fire to hundreds of Kuwaiti oil wells.Allied troops swept into Iraq and Kuwait from several points along the Saudi Arabian border. 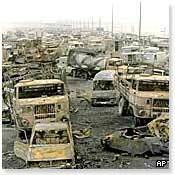 Hundreds of tanks raced north to take on the Iraqi Republican Guard. Allied forces bombed them from the air, killing thousands of troops in their vehicles in what became known as the “Highway of Death”. 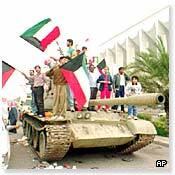 On 27 February 1991, jubilant Kuwaitis welcomed convoys of allied troops into the city. 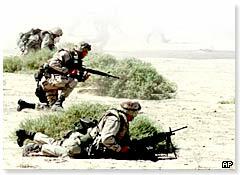 Special forces went in first, followed by Kuwaiti troops and then US marines.At 2100 US time, President George Bush Snr announced a ceasefire from 0400 the following day. 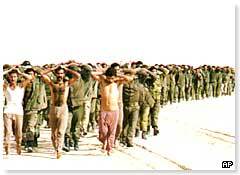 Allied forces across Iraq had by this time captured tens of thousands of Iraqi soldiers.Many were hungry, exhausted and demoralised and surrendered with little resistance. The US estimated that 150,000 Iraqi soldiers had deserted. 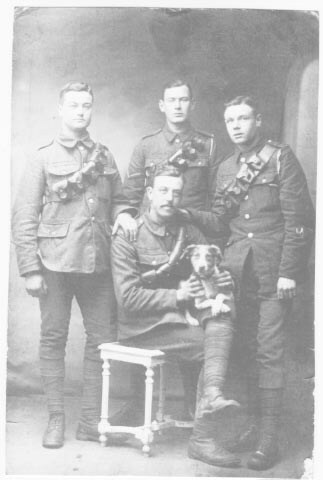 The allies had lost 148 soldiers in battle, and another 145 in deaths described as “non-battle”. Estimates of Iraqi deaths range from 60,000 to 200,000 soldiers. Heaps of Iraqi corpses were buried in mass graves in the desert. On 2 March the United Nations Security Council passed a resolution establishing the terms of the ceasefire. These required Iraq to end all military action, to rescind its annexation of Kuwait, to disclose information about any stored chemical and biological weapons, to release all international prisoners and accept responsibility for the casualties and damage done during its occupation of Kuwait. The next day, Iraqi commanders accepted the ceasefire terms formally at a meeting with US military leaders in a tent at the captured Iraqi military base of Safwan. Saddam Hussein did not attend. The US and UK used no-fly zones on top of UN-backed economic sanctions and weapons inspections as a policy of “containment”. A UN mandate for weapons inspections was established in a resolution passed in April 1991.The first operation by the inspections body, Unscom, took place in June, setting in train seven years of monitoring. Many prohibited weapons and production facilities were destroyed and dismantled.The inspectors discovered facilities that Iraqi officials had previously denied having and uncovered prohibited weapons that they had attempted to hide. A no-fly zone in the north of Iraq was declared in March 1991 to protect Iraqi Kurds after Saddam Hussein’s regime had put down their uprising. A similar zone was established in 1992 in the south, after Iraq continued offensives against the Shia Muslims there. British and US aircraft have patrolled these zones ever since, bombing air defences when Iraqi radar has locked onto the planes. 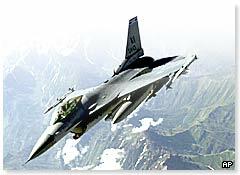 The northern no-fly zone was extended in 1996 following an Iraqi offensive in support of one of two Kurdish factions which were then fighting each other. In June 1993, US President Bill Clinton ordered airstrikes on the Iraqi intelligence headquarters in response to an assassination attempt on George Bush Snr in Kuwait two months earlier. Some of the suspects arrested in connection with the attempted car bombing reportedly confessed that they had been working for Iraqi intelligence.